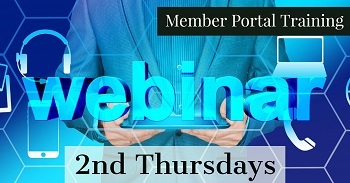 2nd Thursday of each month members will learn how to use all the features and benefits of the NT member portal to maximize membership. Members will learn how to update personal profile, business profiles, add social media links, post jobs, events, special offers to both members and to the public. Members will learn how to register for events, pay online invoices, and so much more. Webinar training is 30 minutes and follow-up resources are available.